Citation: Frederick A, Run Y. Social Media Usability among University Student: A Case Study of Jiangsu University - China. Global Media Journal 2018, 16:31. Copyright:© 2018 Run Y. This is an open-access article distributed under the terms of the Creative Commons Attribution License, which permits unrestricted use, distribution, and reproduction in any medium, provided the original author and source are credited. Social media has now become the pillar among students in seeking for daily information. This research seeks to explain how students spend numerous hours on social media sites at the expense of study time. A multi-stage sampling interview technique was applied and about 550 people were selected from various universities. An online questionnaire survey was used to collect the data. The study revealed that the majority of students used social media for their daily routine. The media include Facebook, WeChat, YouTube, QQ, Weibo. Tables, mean, pie chart and standard deviations were used for the data presentation and analysis. The study revealed that students use social media for their self-pleasure and educational factors. Some also use to engage in cybercrime and discussion of economic activities. It also revealed addicted to social media reduces their time spent on their academic activities. Based on the findings recommendations were also provided that can help provide social media Acts, that can help the designers to provide a measure to also assist the communication commission to help curb the cyber-crime. Knowledge is of great essence in our generation today. With social media, anyone online gets access to an unrestricted flow of information to add to their knowledge bank. In our 21st century, social media plays an important factor in our behavior, cultural, economic and things. A number of researches have been conducted to examine college students' on social media as has become increasingly popular [1-3]. Promoting and virtual interaction for sharing research findings is done through internet. Such internet has enhanced the interactions for communication. This is terms as social media. It’s an internet lead technology used for the promotion of social interaction among peers. Recently, the use of social media has drawn significant attention from educators with an increasing number of practitioners using social media in their teaching. In 2011, a new international conference on Information Science and Social Media (ISSOME, 2013) was established to discuss the role of information science. Inderscience Publishers also established the International Journal of Social Media and Interactive Learning Environments to help factor in issues relating to social media. A lot of publication organizations have set up room for social media to help researchers publish issues related to social media. Recently, in 2014 workshop on social media was held at the Information Seeking in Context (ISIS) Conference emphasis on interest on the perspectives and valves that information scientists can add to study social media. Also, on April 9, 2017, 1st workshop on social media for personalization and search was also held in Aberdeen, in conjunction with the 39th European Conference on Information Retrieval (ECIR 2017). The aim was to collect novel ideas in the use of social media to mine user behavior for personalization and search technology, to provide a common ground for researchers working in this area. Among university students’ learners, an increasing use of social media and mobile technology for coursework has recently been increased [4,5]. Social media by its nature have the capabilities of educating, informing, entertaining and inflaming the audience. It possesses a contagious and outreaching influence which the conventional media lack. It’s unstoppable media that has evolved in the 21st century. As Library Information Science Researcher (LISR), it’s important to find out how university students use the new means of communication. This is because the new communication technology is one of its kinds that many youths in China are now surfing. This is because it has decreased the language barriers among the students the in China. The trend of using social media among university students seems to be increasing every day and a large number of them is relying on its usage for interactions and communication. Among student particularly higher education level, the number of social media usage is extremely higher which in turns make them forget about their physical, mental and psychological well-being. Nevertheless, a country like China, the profile, and availability of the infrastructure plays a crucial role in its usage. Now just like contemporary media, social media sites spread faster than anything and are bound to be sprouting as technology continues to improve. The problem is that the purposes for which the users apply the new media for are obscure. The reason is that in China, social media has become a silent killer but our mindset has not been focused on that area. This study set to examine why students in universities make use of the social media. The reason for such inquiry sets to unveil some of the fundamental purposes which students use the new media to achieve. In China, the use of the social media as a channel of communication and payment of items has been a growing trend which will virtually affect all parts of the globe. The people within the country including the university student, make use of the new media. Technology can be used in so many ways that can be beneficial and otherwise is a doubleedged sword . Since the user has control over it, resizing it to be good or bad depends on the user. To clarify, users determine what they do with technology at hand. The problem of the question is, does the use of social media reduce the number of time students devote to their studies? Do the social media have any positive impact on the students` studies? • To find whether the use of the social media reduces the amount of time the students devote to their studies. • To ascertain whether the use of the social media have positive inputs on the students’ studies. • For what purposes do university student in China uses the social media? • Do the students’ uses of the new media make them reduce the amount of time devoting to their studies? • Does it have positive inputs on their studies? Social media has exploded as a category of online discourse where people create, bookmark, share it and network at a prodigious rate. The study was centered on a media theory. Knowledge is power and it does not exist in a vacuum. We need to work for it. In every area of discipline, there exists a theory that defines and provides an adequate explanation for it to be understood by other. In social media, there is some theory that governs it. Some of the theories include media richness theory (information richness) that’s the ability of information to change understanding within a time interval . Another theory, dependency model theory that’s it focuses on audience dependency on media as information resources and discusses alteration of audience beliefs, behavior, or feelings as a result of mass communicated information . Also, the medium theory that’s media creates an environment that shape, extend, involve, if not completely work over human sensorium [9-11]. Last but not the least, use and gratification theory that’s an audience-centered approach to understanding mass communication that’s how and why people actively seek out specific media to satisfy specific needs . For the purpose of the study, the attention would be on the use and gratification theory. That’s, the theory focuses on the consumer rather than focusing on the message by asking “what people do with media” rather than “what media does to people.” The question one could ask, why do people use media and what do they use them for? The theory discusses how users deliberately choose media that will satisfy given needs and allow one to enhance knowledge, relaxation, social interaction or escape . Once the medium does not deliver to the people those purposes, needs or benefits they anticipate from the organ. The issue was that the audience would desert the channel that doesn’t satisfy them. When the audience gets to know that a particular medium is not of help they (the audience) quickly switch to another medium that can give them (the audience satisfaction. In the early 40s, the first research on the use and gratification focuses on the reason for the popular appeal for radio programs. Infante et al. concluded that the audience uses the media to fulfill the expectation . With the use and gratification theory, the audience chooses the medium that would benefit the content of satisfaction. The comfort of usage of the social media has to deal with the satisfaction they derive from using the social media by the university students in China. The university students (audience) directly or indirectly engage actively in determining the media content they consume. The theory suggests that media users play an active role in choosing and using the media . The basic assumption indicated that people use mass media for different reasons and seek to derive various gratifications. According to Stephenson in his book identifies play theories [16,17]. In this theory suggested that we use media as a means of escaping into the world of play not accessible at other time. According Li, the researcher added that people who use social networks and other computer-mediated communications are quite different from the mainstream media audiences who relied on specific media contents . The theory could be relevant to the study because it looks into why the university students use the social media in China. Ruggerio claimed that the theory has provided a cutting-edge approach in the initial stages of each new communication medium: newspaper, radio, television, and now the internet. This study indicates that there are certain satisfactions the new media provide to the public without which their usage would have waned. The study shall unveil the gratification which the new media present to their teeming number of student-users within the universities in China. The emphasis in the theory is that the audience plays a great part in the choice of the media. This is what the determined by what the media offers. The methodological approach of this study was surveyed, mainly because it studies users’ perceptions of these social applications. The opinion of the student would be the main primary data collection. The population for the studies was drawn from Jiangsu Universities. All their rooms were wired with internet to enable the student to have access to the network. The method for the collection of data was a multi-stage interview sampling technique. The data collection was a questionnaire with both open-ended and close-ended questions. The sample size for this study is 550. According to the research guideline suggested by Wimmer et al. in which multivariate studies like 50=very poop; 100=poor; 200=fair; 300=good; 500=very good; 1,000=excellent . Random sampling technique was used in this study, in which pick without replacement was adopted in order to get the accurate information needed. Questionnaires were used as the instrument of the data collection. The study was done in a pattern using a modified Likert-type scale because it’s most valuable in meeting the objectives of the work. According to the scale the responses were assigned valves like strongly agree, Agree, Disagree, strongly disagree and undecided. Pre-test questionnaire was randomly used to test the reliability of the selected respondents from one of the selected universities. The result generated from the test was used to ascertain the reliability of the measuring instrument. Questionnaires of five hundred and fifty were distributed which were done online to the targeted respondent and five hundred were returned to be used for the analysis. In order to understand the usage of the new media, demographic has been analyzed with the help of the R program (Figure 1). From the Figure 1 it can be seen that the number of age in response to the usage of the new media is widely high for age 21-26 which have 45%, followed by 15-20 has 25%, 27-32 has 19%, 39 and above 6% and lastly 33-38 has 5% (Figure 2). 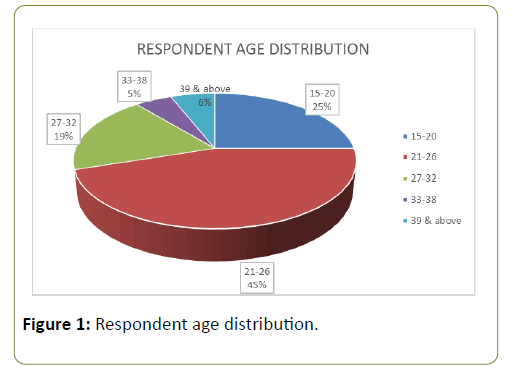 Figure 1: Respondent age distribution. 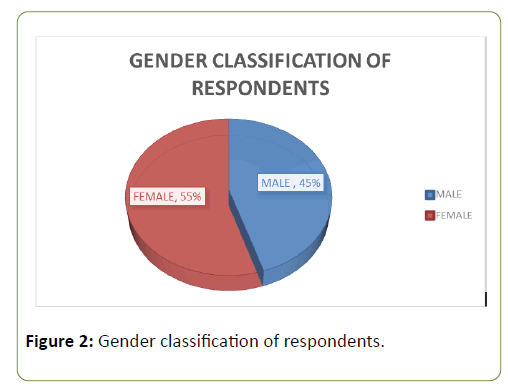 Figure 2: Gender classification of respondents. According to the Figure 2, the proportion of male to that of a female in new media usage is huge. While 55% of female representing 275 in use of new media 45% of male representing 225 also are into new media. Also, in the questionnaires, I indicated a question to find out if a reasonable number of students use the new media. Per that, I found out the reasonable student uses new media which made the analysis really reliable. From the Figure 3 below it can be seen that 92% representing 460 students use new media whiles only 8% representing 40 students are nonusers (Figure 3 and Table 1). Figure 3: Social Media Usage. Table 1: Difference between new media and contemporary media. How frequent does people get access those media. This survey indicates that contemporary media is gradually been faded out from the system and replaced by the new media that’s the social media since the new media is easily accessible without any stress (Table 2). From the survey question, Table 2 gives the explanation on how the students in China use the new media. From survey or item 1 has a mean score of 4.148 that’s above the mean cut off point (2.0) from the study. Per the survey, the decision is accepted. This implies that a lot of respondents agree with the statement. The standard deviation is less than the cut-off point, of the study. This implies that there is a high probability between those that accepted and rejected the statement. Table 2: Explanation on how the students in China use the new media. The survey item 2 has a mean higher than the cut -off mean of the study which makes the decision to be accepted that indeed the students use the media to watch movies. The same way, since the standard deviation is less than the cut-off point, it implies that there is a high probability between those that accepted and rejected the statement. Again, though survey item 3 has a mean score that’s higher than the study but the respondent selection was based on strongly disagree and disagree that implies that they (students) don’t use the social media to discuss national affairs. This made the decision to be rejected. Since the standard deviation is lesser than the cut-off point there is higher probability between rejected and accepted. Furthermore, survey item 4 has a mean and standard deviation which is greater than the study cut-off point. In view of that, the decision is accepted based on the fact that the respondent selected strongly agree and agree on which has the weight of 4 and 3. This implies that there is a higher probability between those that accepted and rejected. In addition, survey item 5 from Table 2 has a mean which is higher than the study which makes the study to be accepted. This implies the respondent agreed that yes, they use social media to communicate with their relatives. The standard deviation, on the other hand, is lesser than the study cut-off point. This implies that there is a higher probability of accepted and rejected by the respondents (Table 3). Table 3: Responses from survey item 1 have the mean of 4.121, which is above the cut-off point for the study, thus accepted the claim. From the survey question, Table 2 gives the explanation on whether the use of new media (social media) brings positive impact on the students in China. From Table 2, survey item 1 shows that the decision is been accepted in that fact that the mean of the survey is higher than the mean cut-off point of the study. Also, there is a high probability between the rejection and acceptance in the sense that the survey standard deviation is smaller than that standard deviation cut-off point. Also, survey items 2 indicate that the decision has been accepted by the student in the sense that it has a mean of 2.781 which is higher than the cut-off point of the study. This implies that a lot of student uses the new media to indulge in cyber-crime which must be addressed by the application management team. The response has a standard deviation of 0.921 which is smaller than the cut-off points of the standard deviation of the study. This implies that there is a high probability of rejection and acceptance. From the same table, the response from survey item 3 has a mean of 4.522 which is higher than the mean cut-off point. This implies that yes indeed social media help promote studies among student because it helps them to study in a group. The response has a standard deviation of 0.841 which is smaller than the standard deviation of the cut-off point. This implies that there is a high probability of rejection and acceptance. In addition, survey item 4 has a mean of 4.310 which is higher than the mean cut-off point. This implies the decision of a student using the media to get online partners has been accepted. The response has a standard deviation of 0.951 which is smaller than the cut-off point. This implies that there is a high probability between those that accepted and rejected the statement. Moreover, from Table 2 survey items 5 has a mean of 2.744 though it has a mean that’s higher than the cut-off point, yet the decision is rejected. This is because the respondent selection based on strongly disagree and disagree that implies that the student uses the new media for occult networking. This made the decision to be rejected. Also, the standard deviation is less than the cut-off point; hence there is a high probability of rejection and acceptance (Table 3). From Table 3 above, it’s clear that responses from survey item 1 have the mean of 4.121, which is above the cut-off point for the study, thus accepted the claim. That implies that greater respondents believe the statement to be true. The responses have the standard deviation of 0.941, which is less than the cut-off point. That means that there is a high probability between the respondents that accepted and rejected the claim. Furthermore, the same table survey item 2 has the mean of 4.045, which is above the cut-off point for the study, thus accepted the claim. That implies that greater respondents believe the statement to be true. The responses have the standard deviation of 0.904, which is less than the cut-off point. That means that there is a high probability between the respondents that accepted and rejected the claims. From the same Table 3 above, the respondents for the survey items 3 have the mean of 4.313, which is above the cutoff point, thus accepted the claim. That implies that greater respondents believe the statement to be true. The responses have the standard deviation of 0.856, which is less than the cut-off point. That means that there is a high probability between the respondents that accepted and rejected the claims. This study was based on the empirical finding. The findings were based on the social media use as the new trend of information seeking among university students. From the data obtained it’s clearly stated that students in China has a sort of social media for information and uses it for all sort of things. Per the study, it can be found that with the use of the new media; the students’ access everything online without resorting to the contemporary media. This was agreed based on the survey that concluded that a large number of percentages of the respondent accepted the claim. This ascertains that a large number of students use the new media to play games. In China, online gaming has become so common in social media site which is accepted by a greater number 201 respondents agreed and 199 strongly agreed . Also, the students use the new trend to discuss economy activities in the country. The finding is similar to the article written by Mike Saunders social media’s role in the Connection Economy. It states that social media has become more than a platform for people to tell the world what’s happening in their lives and the economy as a whole. This is agreed by the greater margin by 293 strongly agree and 172 agree with by the respondent. This two-survey statement indicates that social media has become a new trend where people seek information and make fun from without stress. Due to the online gaming that has emerged in China lot of student do not take their studies seriously and it seems like every student resort gaming even in a classroom. On the other hand, in some part of the country social media has become a new trend where people use to engage in any political issues but this is not the case in China. Student or even people are not allowed to discuss ay sensitive issue online this is confirmed by the survey where the decision is rejected. From the survey 222 respondent strongly disagree whiles 177 disagree. From the survey question one, it conforms to the assumption of the use and gratification theory that social media provides room for the student to get essential information need with stress-free. Per the findings, it agrees with the topic that social media has become a new trend where people seek information as one doesn’t go through stress in getting such information. With respect to survey question two, it agrees to it that, though the student uses it for their entertainment aspect it gives the positive impact on their academic performance. For instance, through social media, they can read available materials to help enrich their knowledge. The respondent affirmed by a greater margin of 311 agreeing to it. This is in line with Linda Weiser and Hershey Friedman in their article “using social media technologies to enhance online learning” indicates that students are active participants in the learning process through social media. Also, survey item three indicates that the student uses the media to create a group that enhances their studies. The finding on survey items two showed that social media is a double edge sword, that implies not only provide a positive impact, it also encouraged certain behavior. According to the survey item two, it’s clearly agreed by the student with 199 strongly agreeing and 192 agreeing to the claim. This attests that student doesn’t only search for material beneficially to their academic performance but also do things that are barely illegal. Again, not only playing the game and to search for academic materials but is a place for a student to look for life partners. For instance, in China, there is a large dating site called “Tantan” that’s where a lot of students look for partners. This is affirmed by a greater number of respondents that’s 283 agreeing to the claim while 181 strongly agreeing to it. This is exposing the student to much sexual abuse and harassment. The studies of the student are being jeopardized from the finding due to regularly visiting and overexposure of the new media. From the findings, it’s with fact that the use of the networking sites has a great negative influence on their studies. Lot spend time surfing on social media instead of their academic activities. Again, with respect to the last question “do social media reduce the time spent on their academic performance?” This reveals that students’ through the use of the new media devote much time to it and reduce the time spend on their academic activities. The finding indicates that the rate at which a student uses social media is so alarming. This was attested by the survey item one, 202 respondents agreeing to it whiles 189 strongly agreeing to it. This greater response indicates that the student spends more time on their phone than on their books. The finding is also supported by the greater respondents, 293 agreed and 162 strongly agreed with the statement. With this support student even abandoned their studies class and keep chatting with their friend. Another great confusing one is that student keeps chatting during the class session. This is well accepted by a greater respondent, 298 strongly agreed and 151 agreed to the statement. This is really disturbing on the side of the teachers, parents, and student themselves as they don’t focus on what is been taught in class. It’s quite strange that even top official during their executives’ meeting keep chatting while the business meeting is on the session, this is not different from student chatting during class hours. From the finding, strict measures should be put in place in order to make student use social media in the good manner as the rate of social media usage keeps increasing. The study reveals that students have turned social media into a new trend in seeking information and gain pleasure from it. Upon findings, it attested to the objectives of the study. The objectives are to examine the trend (purpose) of using social media among university students, to find whether the use of the social media reduces the amount of time the students devote to their studies and to ascertain whether the use of the social media has positive inputs on the students’ studies. After the in-depth analysis of the research, it was seen that students use the new media to play games, watch the movie, get partners online, chat during the class session and also get some vital information from it. Furthermore, being addicted to the media reduces the time of the student in studying their books. Social media is seen as a double-edged sword as it provides both a positive and negative impact on the students. This study reveals that if the students over-expose themselves to social media it will affect their academic performance. It is clear that for the student to achieve higher they should devote themselves to using the internet to search for useful information, being in the library, and concentrate on their academic venture. The study reveals that there are gratifications the student - audience derived from their uses of social media. That implies that the students use the social media because of the pleasure derive like playing the game, watching movies and getting partners online. As the use and gratification theory mostly concern with the audience usage, the findings have contributed immersive in strengthening it. The government should liaise with the ministry of communications technology since the social media fall with that sector to initiate policies to help tighten the use of social media among the students. The government should also with the help of the ministry liaise with the provincial heads enact an act that would provide the users the dos and don’ts in various provinces. Lastly, liaise with the communication commission to mandate all the social media service providers to institute a mandatory law to monitor all social media apps to help curb cyber-crimes. The authorities must regulate the use of a smartphone during lectures to enable students to have focused. The authorities should make the use of the smartphone during class hours an offensive and those culprits must be punishable by law. Correa T, Hinsley AW, de Zúñiga HG (2010) Who interacts on the Web? : The intersection of users’ personality and social media use. Computers in Human Behavior 26: 247-253. Gray R, Vitak J, Easton EW, Ellison NB (2013) Examining social adjustment to college in the age of social media: Factors influencing successful transitions and persistence. Computers & Education 67: 193-207. Hughes DJ, Rowe M, Batey M, Lee A (2012) A tale of two sites: Twitter vs. Facebook and the personality predictors of social media usage. Computers in Human Behavior 28: 561-569. Al-rahmi WM, Zeki AM, Alias N, Saged AA (2017) Social Media and its Impact on Academic Performance among University Students. The Anthropologist 28: 52-68. 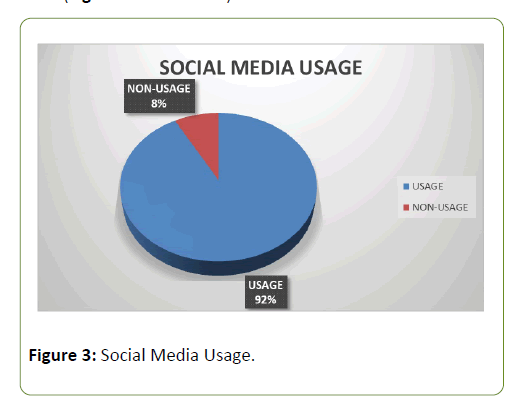 Abdul NH, Sobhi IMd, Anuar IS, Mohmad SSNY (2013) Social Media Usage among University Students in Malaysia. In: Bogdan P, Monica P, Camelia C (eds.) Social Media and the New Academic Environment: Pedagogical Challenges. Hershey, PA, USA: IGI Global. Baran SJ (2012) Introduction to mass communication: media literacy and culture (7th edition ed.) New York: McGraw-Hill. Daft RL, Lengel RH (1986) Organizational information requirements, media richness, and structural design. Manage. Sci. 32: 554-571. Ball-Rokeach SJ, DeFleur ML (1976) A Dependency Model of Mass-Media Effects. Communication Research 3: 3-21. Guins R (2014) The Present Went This-A-Way: Marshall McLuhan’s Understanding Media: The Extensions of Man @ 50. Journal of Visual Culture 13: 3-12. McLuhan M, Fiore Q, Tribunal AB, Fiore Q (1967) The medium is the massage: Penguin, Harmondsworth. Meyrowitz J (2008) Medium Theory the International Encyclopedia of Communication. Severin WJ, Tankard JW (1997) Communication Theories: Origins, Methods, and Uses in the Mass Media: Longman. McQuail D (1994) Mass Communication Theory an Introduction: SAGE Publications. Infante DA, Rancer AS, Womack DF (2003) Building Communication Theory: Waveland Press. Blumler JG, Katz E (1974) The Uses of mass communications: current perspectives on gratifications research: Sage Publications. Stephenson W (1964) the Play Theory of Mass Communication: University of Chicago Press. Stephenson W (1967) Play Theory of Mass Communication: University of Chicago Press. Li D (2005) Why Do You Blog: A Uses-and-Gratifications Inquiry into Bloggers' Motivations. Wimmer RD, Dominick J (2011) Mass media research an introduction (9th ed. ): Boston, Mass Cengage-Wadsworth. Aburahmah L, AlRawi H, Izz Y, Syed L (2016) Online Social Gaming and Social Networking Sites V: 82.